Momar's Greenaction Product Line is environmentally responsible chemistry in action. Greenaction products utilize the latest, "greenest" technology to perform cleaning tasks better than traditional products while minimizing the effects on environmental and human health. Momar's Greenaction Product Line is environmentally responsible chemistry in action. Greenaction products utilize the latest, greenest technology to perform cleaning tasks better than conventional products while minimizing the effects on environmental and human health. With the exception of Thyme Bomb and Brute, all of Momar’s Greenaction products have been designed in partnership with the EPA Safer Choice and/or Green Seal. 2. What are the 4 main user benefits of using Momar's Greenaction products? 3. What is the EPA's Safer Choice program? When you see a product with the Safer Choice label, it means that every ingredient in the product has been reviewed by EPA scientists. Only products that meet the Safer Choice Standard, which includes stringent human health and environmental criteria, are allowed to carry the label. Situated in the U.S. EPA's Office of Pollution Prevention and Toxics (OPPT), the Safer Choice Program (formerly the EPA DfE Program) is a product formulator's gateway to OPPT's unique chemical expertise, information resources, and guidance on greener chemistry. The program gathers hazard information on chemical ingredients and works with OPPT's science experts to assess this information and compare the relative safety of chemicals. Since 1997, the EPA Safer Choice Program has offered recognition to those companies who design for the environment and human health by only using safer chemicals. Momar is proud to be a partner with the EPA in this program. 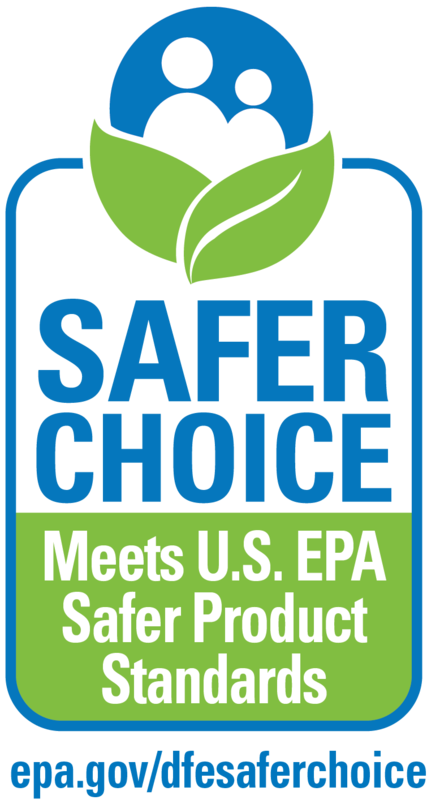 Click on the link below to see where Momar Greenaction products are recognized on the EPA Safer Choice website (once on site, search for keyword: Momar). 4. Why is EPA Safer Choice better? The EPA Safer Choice Program is distinct from all other product recognition or ecolabeling programs because of two defining characteristics: its technical review team and its assessment methodology. The EPA Safer Choice technical review team has many years of experience and is highly skilled at assessing chemical hazards, applying predictive tools, and identifying safer substitutes for chemicals of concern. The review team applies the EPA Safer Choice assessment methodology by carefully reviewing each product component to determine its key health and environmental characteristics. The review includes all chemicals, including those in proprietary raw material blends, which manufacturers share with EPA Safer Choice in confidentiality. 5. How does EPA Safer Choice's component-based review compare with other product-based approaches? EPA Safer Choice uncovers chemicals of concern that can be masked by raw material blends or by dilution in water. 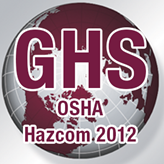 EPA Safer Choice spots negative synergies between product components. EPA Safer Choice uses its expert knowledge and predictive tools to supplement lists of chemicals of concern. EPA Safer Choice screens all fragrances and dyes for chemicals that may pose serious health or environmental effects. EPA Safer Choice recommends safer substitutes for chemicals of concern. 6. Do Momar's Greenaction products actually work? YES!!! Momar chemists understand that the "green" movement will only prevail if "green" products perform as well or better than conventional products. Therefore, Momar chemists designed the Greenaction products with performance in mind. Each Greenaction product has been subjected to a series of standardized and side-by-side performance tests. Only formulations that performed as well or better than traditional cleaners proudly bear the Momar Greenaction logo. 7. What formulary conditions must all Greenaction products meet? 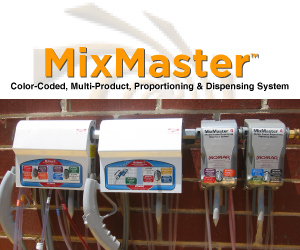 No fuming acids or harsh alkalis, HMIS codes of 0 or 1 . . .
8. Does Momar manufacture any "Green" water treatment products? Yes, Momar manufactures more than 30 water treatment products for cooling towers, boilers, and wastewater treatment. 9. What other ways is Momar working to improve the environment and act as an environmental leader? Momar has achieved CHAMPION status with the EPA's Safer Detergents Stewardship Initiative (SDSI) and has committed to eliminate the use of nonylphenolethoxylates (NPEs) in all products and replace them with safer surfactants such as alcohol ethoxylates, alcohol alkoxylates, alkyl glucosides, and linear alkylbenzene sulfonate. Endorsement Disclaimer: EPA/Safer Choice recognition does not constitute endorsement of these products. The Safer Choice logo signifies that the formulas for these products, as Momar has represented them to the EPA, contain ingredients with more positive health and environmental characteristics than conventional cleaners. The EPA relies solely on Momar, its integrity and good faith, for information on the composition, ingredients, and attributes of these products. The EPA has not independently identified, i.e., via chemical analysis, the ingredients in the product formulas, nor evaluated any of Momar’s non-ingredient claims. The EPA provides its evaluation only as to the environmental and human health characteristics of the product, based on currently available information and scientific understanding.